A Kazakh delegation headed by Deputy Minister of Foreign Affairs Askar Mussinov participated in the 25th Assembly of Heads of State and Government of the African Union (AU) in Johannesburg, South Africa June 12-15. The AU assembly examined women’s empowerment and development in relation to Africa’s Agenda 2063 programme. Regional security and migration policies were also discussed. During the assembly, Kazakhstan’s delegation held a side event “Supporting Africa’s Agenda 2063: Food, Energy and Water Security.” More than 100 representatives of African states participated. Kazakhstan also presented information concerning EXPO 2017 and the country’s effort to secure a non-permanent seat on the UN Security Council for 2017-2018. In his remarks to the gathering, Mussinov expressed Kazakhstan’s position in support of AU initiatives on reforming the UN, its willingness to continue financial and other assistance to the African continent, including fighting the Ebola outbreak that left thousands of people dead in Africa. 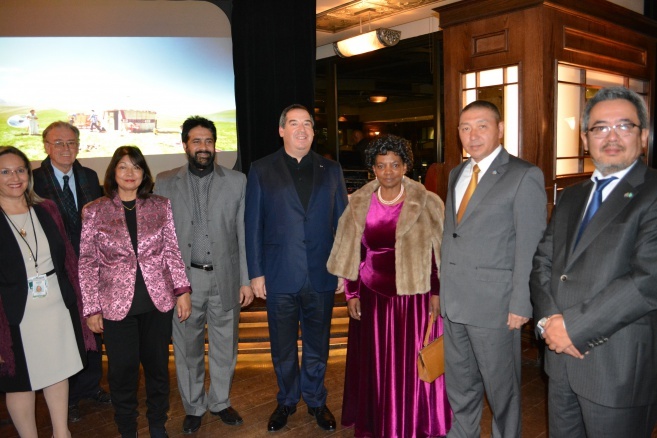 The participants of the event were also told about Kazakhstan’s initiative to provide food assistance through the Islamic Organisation for Food Security, in an effort to address famine and food security in Africa. On the eve of the assembly, Foreign Minister of Kazakhstan Erlan Idrissov said developing good relations with African countries is one of the top foreign policy priorities for Kazakhstan. Kazakhstan, Idrissov said, see such relations as beneficial to Africa, Kazakhstan and Central Asia. “Africa is home to seven of the world’s top 10 fastest growing economies. Over the past decade, it was among the fastest-growing parts of the world. It grew on average 5 percent more every year. Meanwhile, Kazakhstan’s economy has grown annually on average 4 percent during these years. 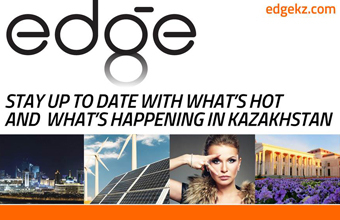 Experts predict that in the coming years Kazakhstan will be among the world’s top 10 oil exporters. We have also recently embarked on a new, long-term development plan to raise our nation into the top 30 most-developed countries of the world by 2050. Therefore, I am convinced that building relations with Africa will lead to positive results for both of our economies. I am particularly keen to develop our ties within agriculture, agro-processing, mining and energy,” Idrissov wrote in an opinion published by AllAfrica.com on June 11. Among the guests and speakers were Ministers of Foreign Affairs of Gambia Neneh Macdouall-Gaye, Liberia – Augustine Kpehe Ngafuan, Somalia – Abdusalam Hadiye Omer, Deputy Minister of International Relations and Cooperation of South Africa Nomaindiya Mfeketo, Deputy Executive Secretary of the UNECA Dr. Abdallah Hamdok, Deputy Chairperson of the AU Commission Erastus Mwencha, as well as a number of other commissioners of the AU Secretariat. Within the framework of the summit, Mussinov held talks with the President of Guinea Alpha Condé, foreign ministers of the Republic of South Africa, Gambia, Liberia, Somalia, Malawi, Tunisia, Sierra Leone, Cameron and Mozambique, during which the sides discussed strengthening cooperation within multilateral forums. 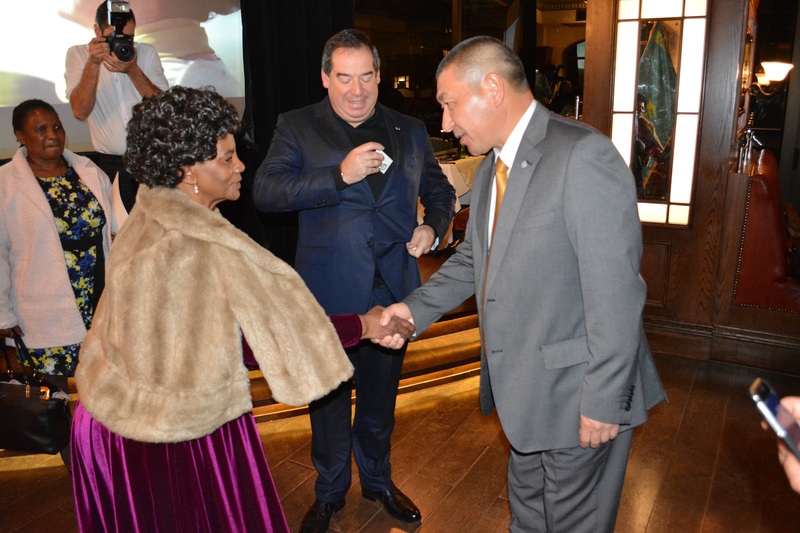 During the visit to South Africa, Mussinov also attended the opening of the Honorary Consulate of the Republic of Kazakhstan in Johannesburg. Since November 2014, Kazakhstan has been an observer to the African Union, whichbrings together 54 states of the continent with a population of more than one billion people.